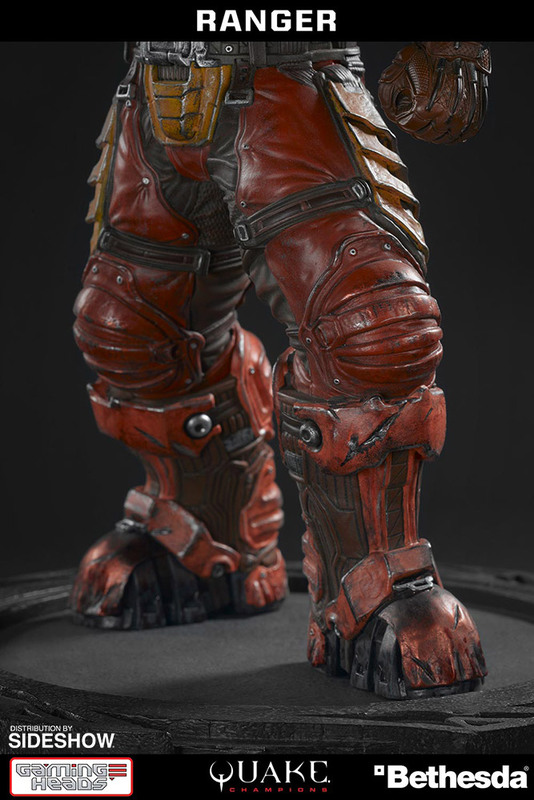 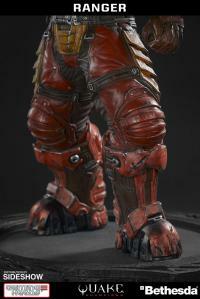 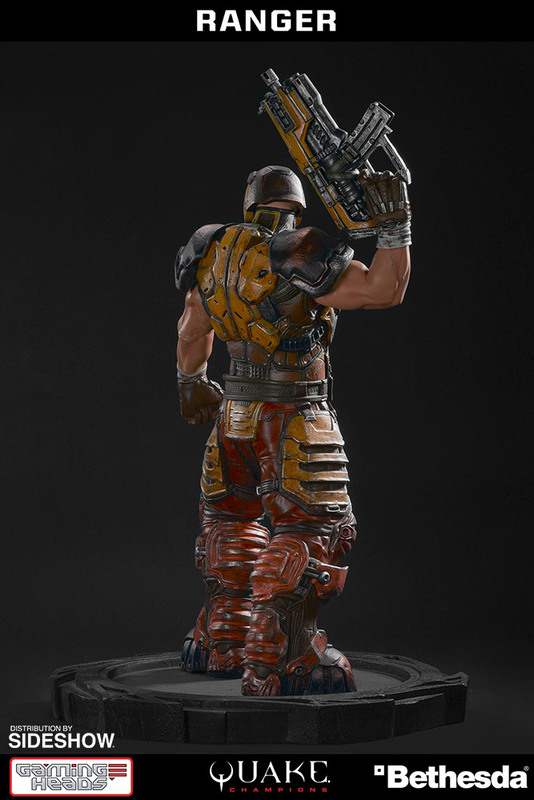 Two decades ago, a lone Marine stepped through the Slipgate and into a nightmare. 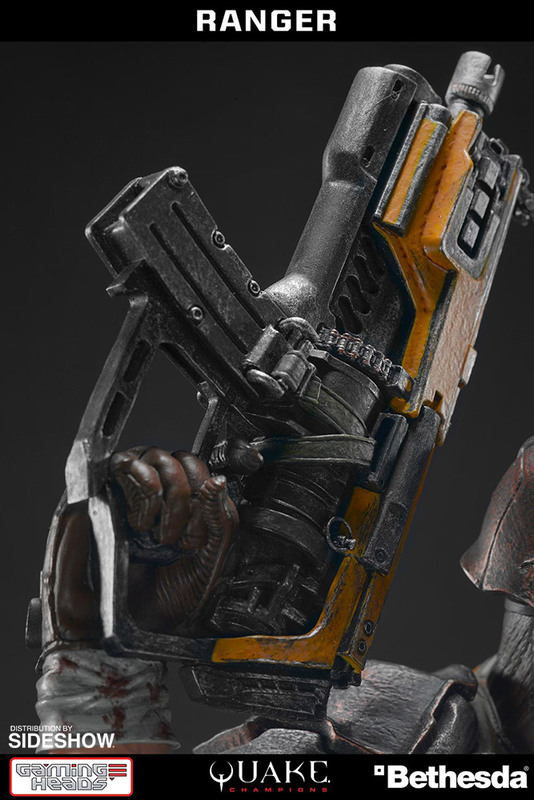 He cut through countless horrors to find four eldritch Runes and laid waste. 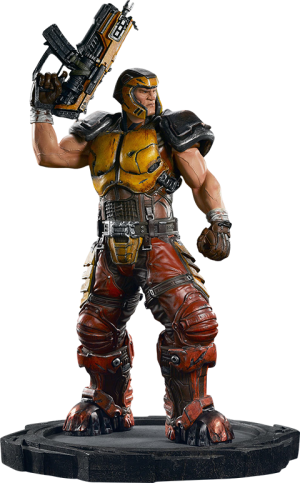 Trapped in these realms ever since, he has survived using the power of the Dire Orb seized from within the hot gore of the All-Mother. 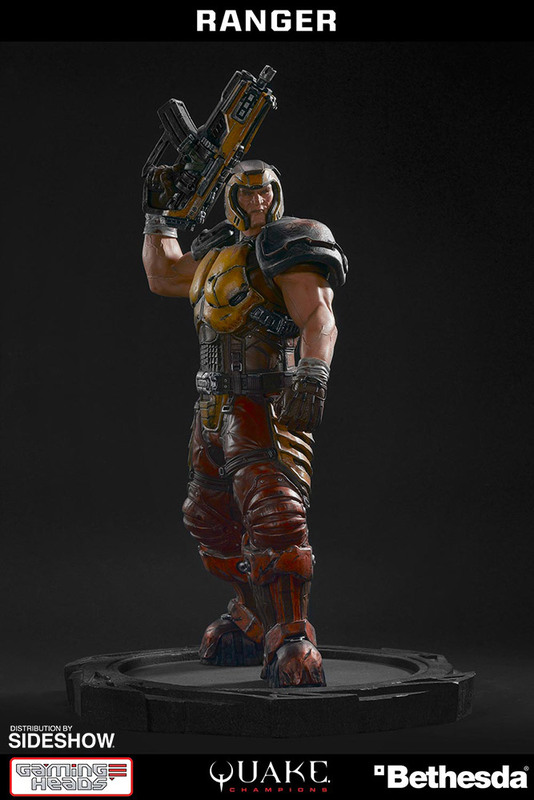 Time and delirium have eroded his resolve and even his name, but a worn family photograph tucked away in his armor serves as a scrap of hope and sanity. 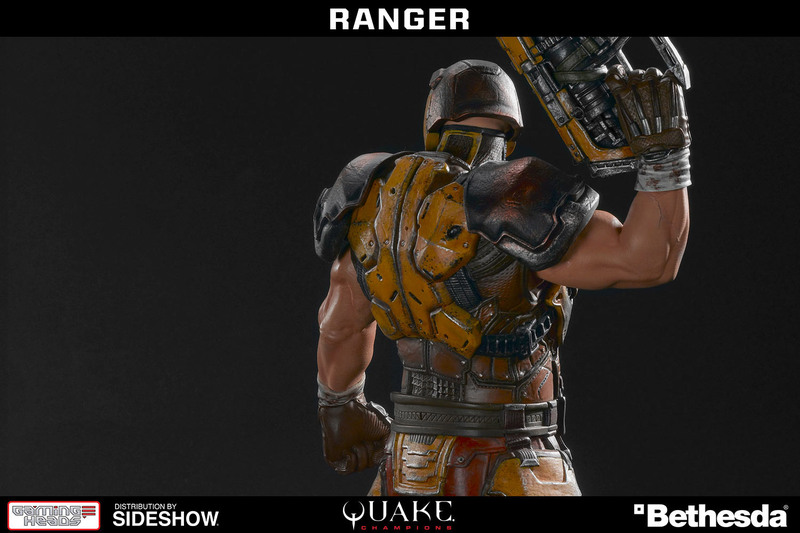 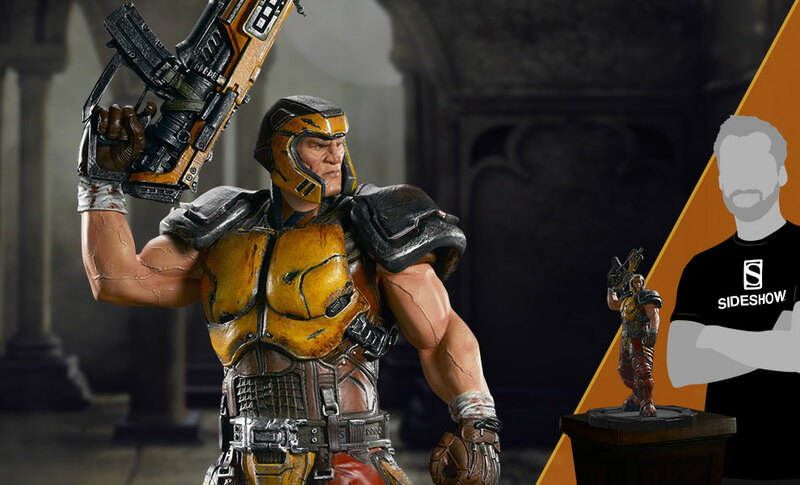 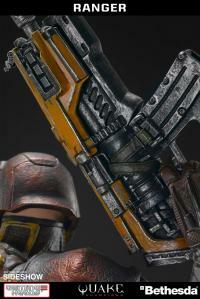 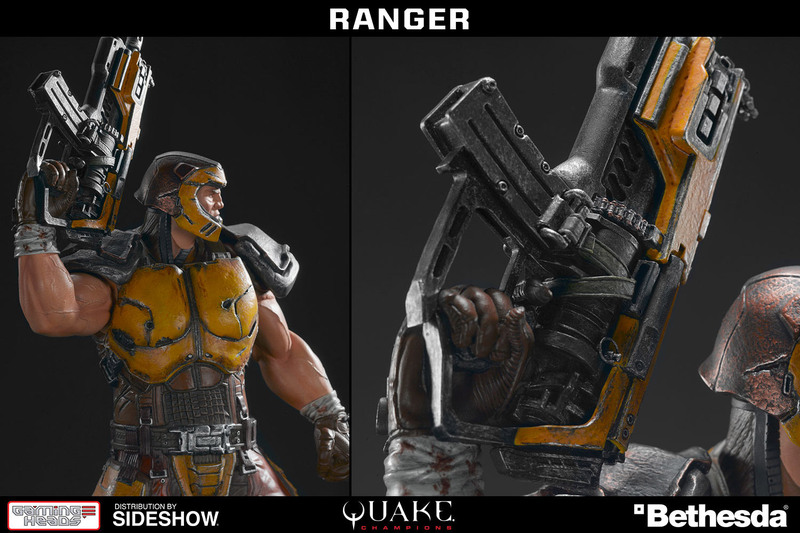 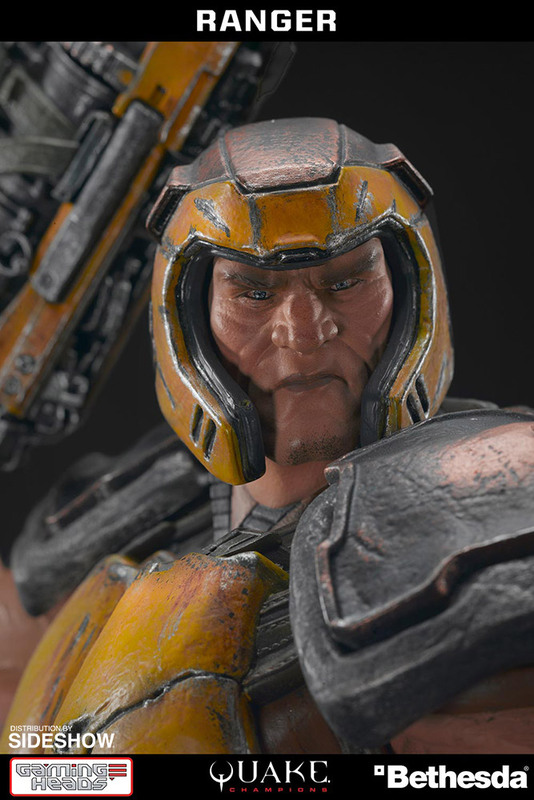 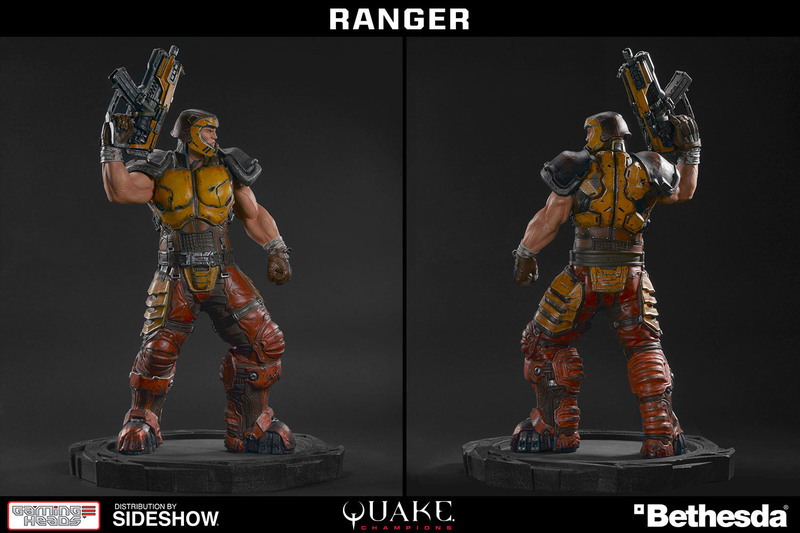 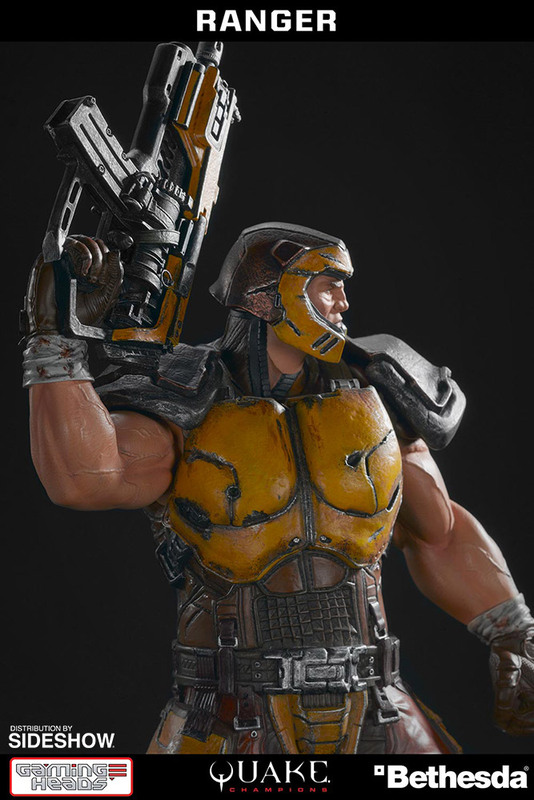 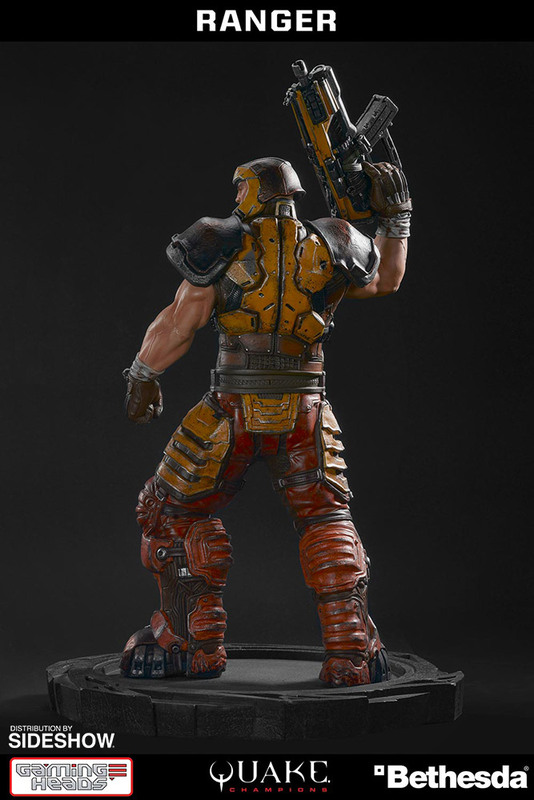 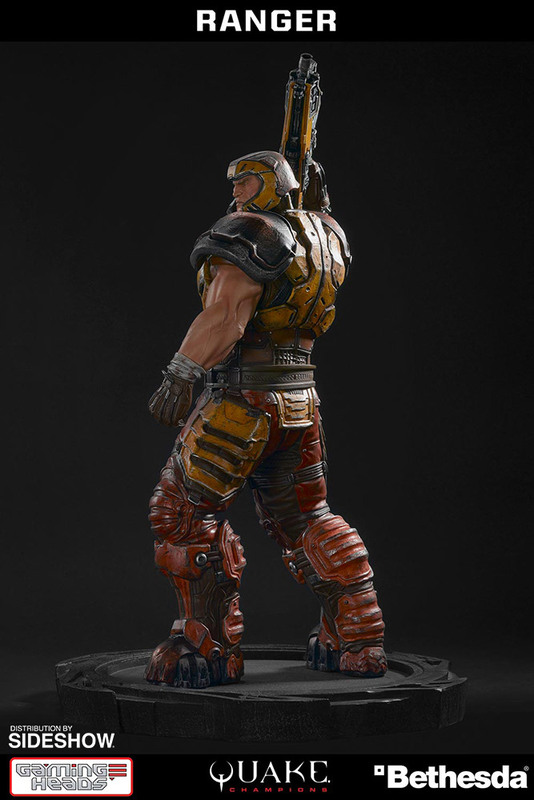 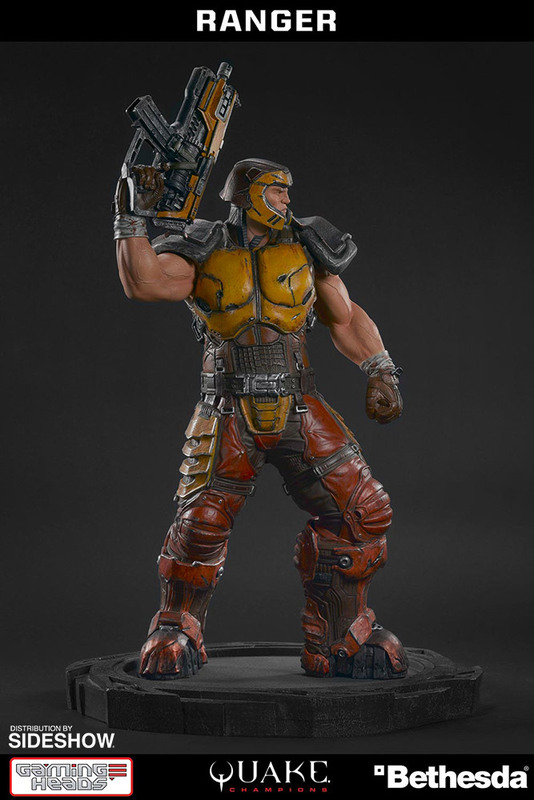 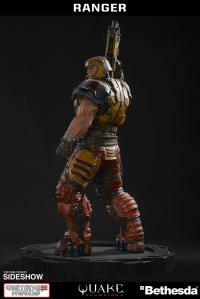 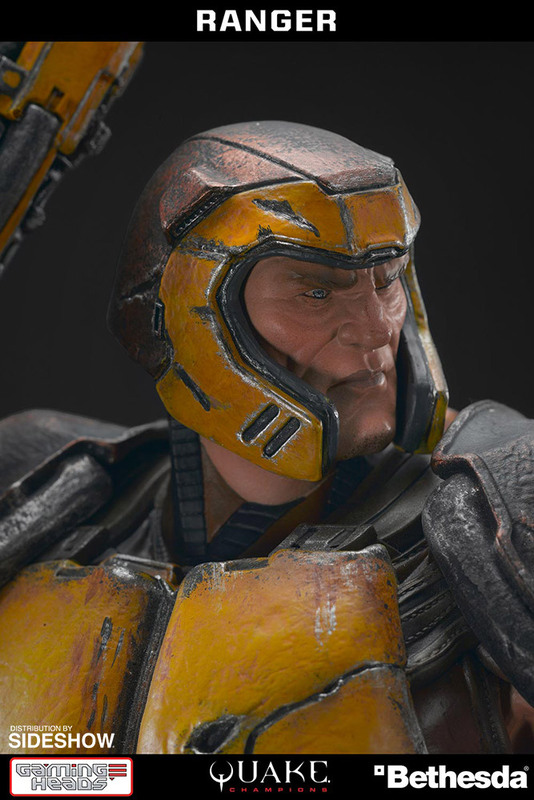 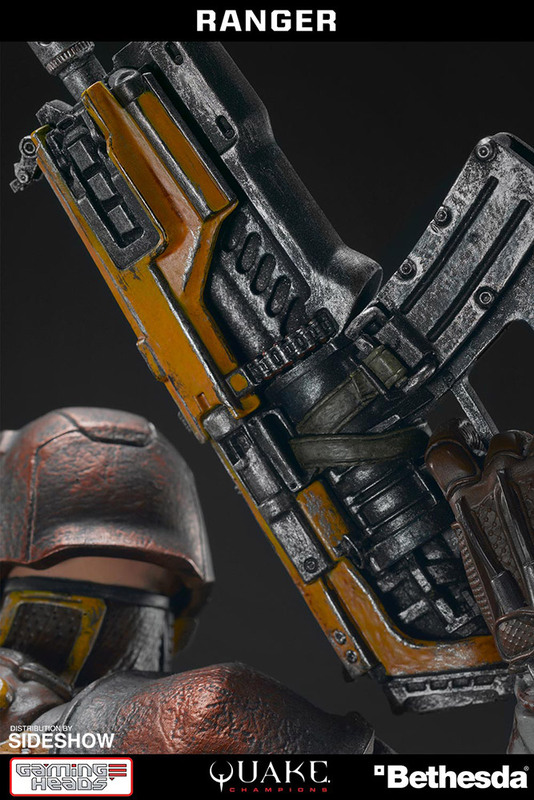 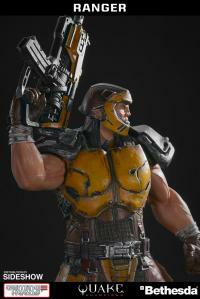 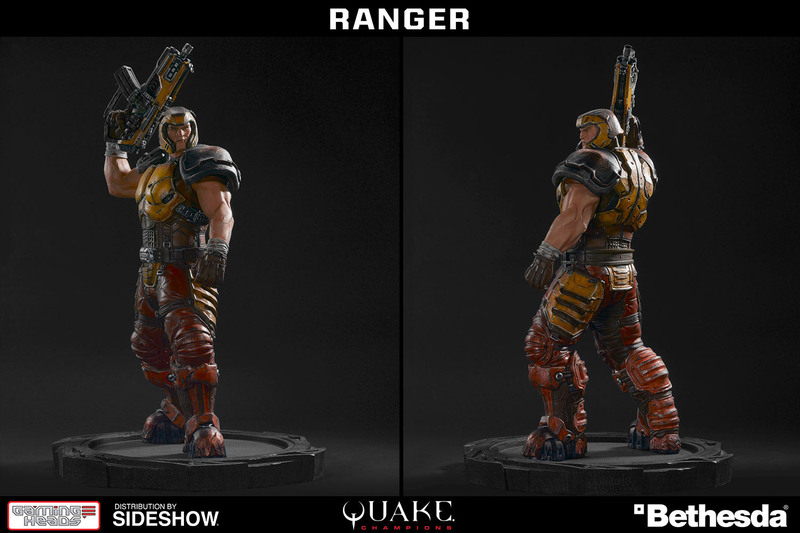 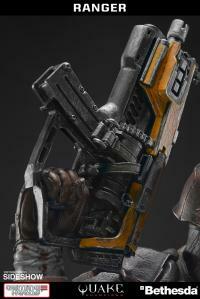 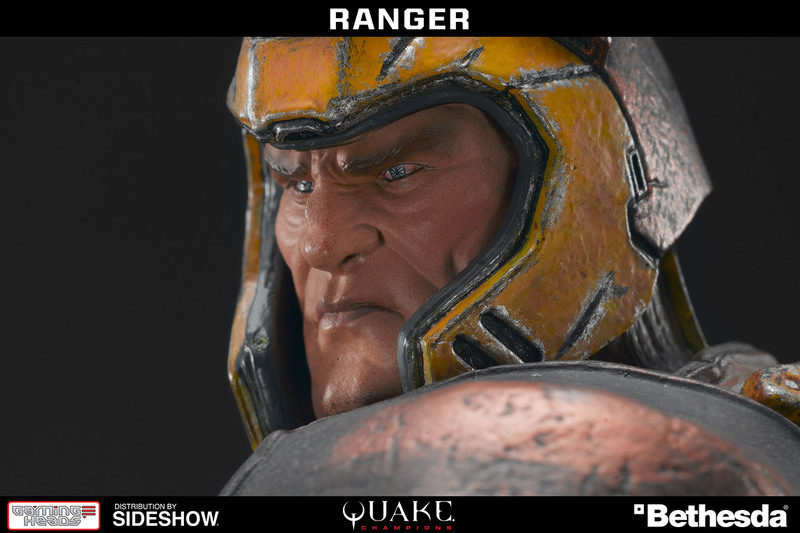 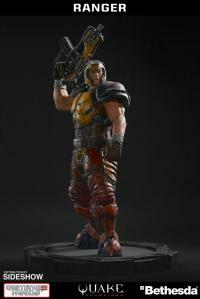 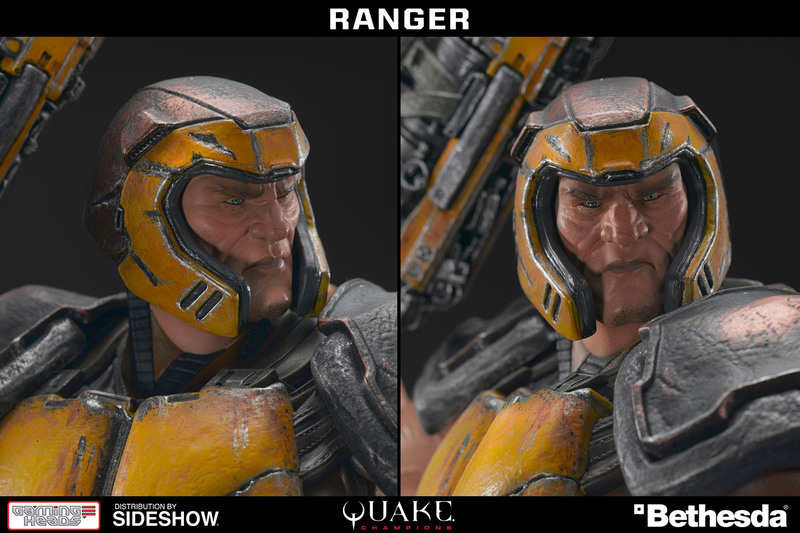 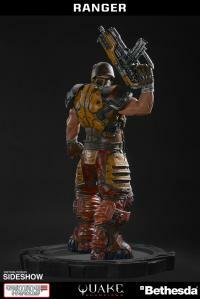 Posed with a machine gun held high, the Quake®: Ranger Regular Edition Statue is carefully cast in polystone resin and hand-painted by artisans in exacting detail. 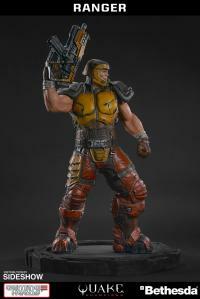 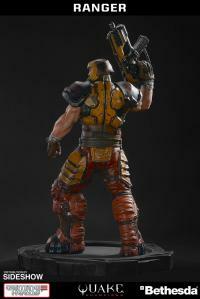 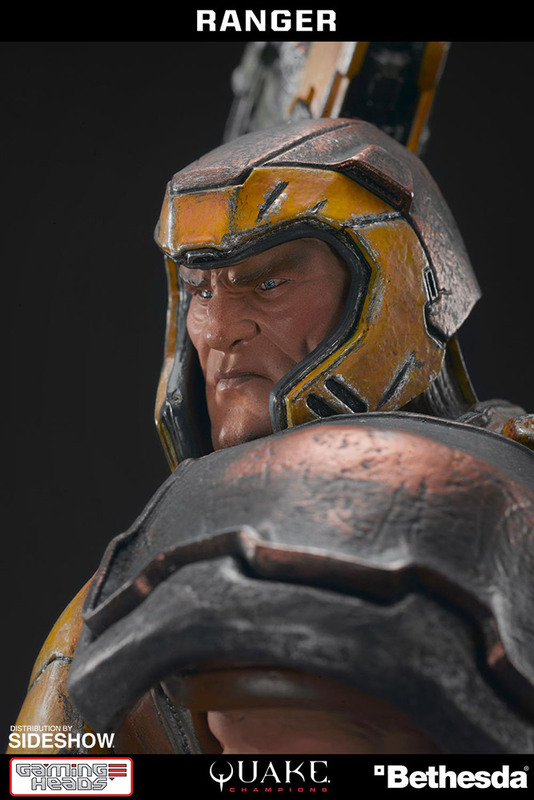 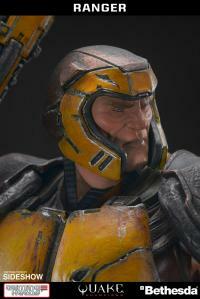 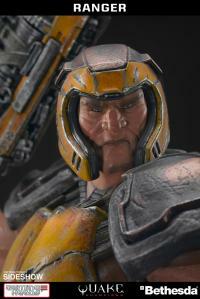 At 1:6 scale, this statue stands approximately 16 inches tall (to top of machine gun, and aproximately 14 inches tall to top of head) and is also available in a exclusive edition and an unpainted collective edition. 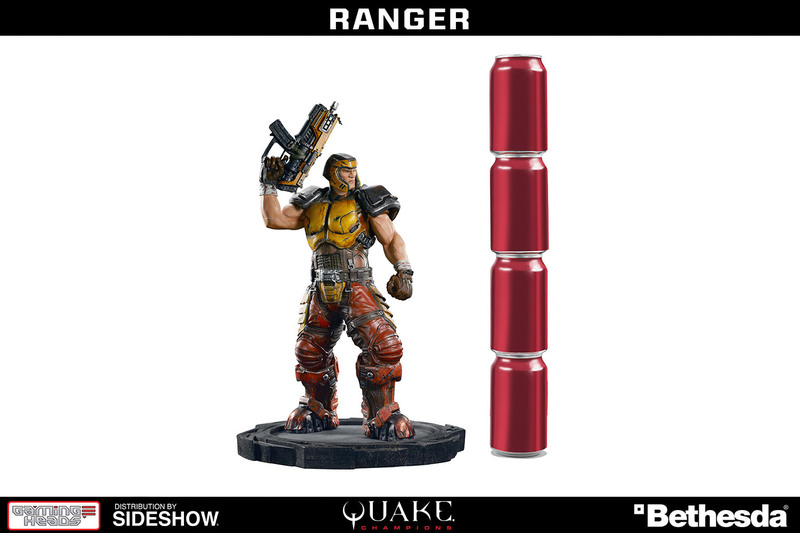 The Quake®: Ranger Regular Edition is limited to 750 pieces worldwide.